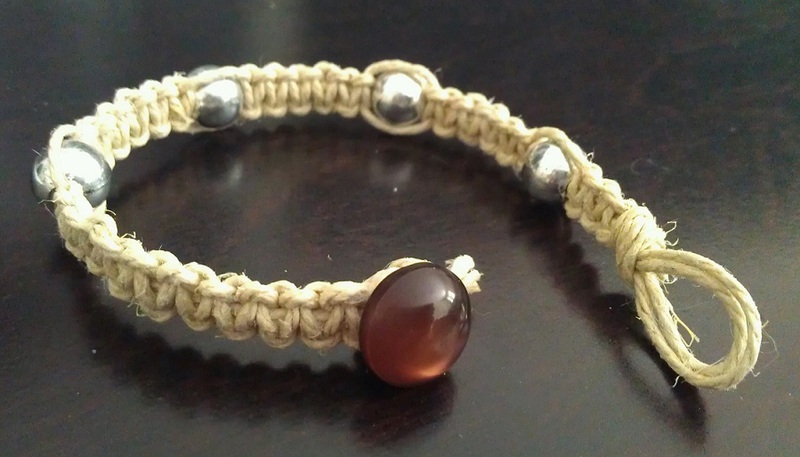 Easy Hemp Bracelet – Crazy for D.I.Y. August 1, 2013 October 27, 2016 • Crazy for D.I.Y. I was so happy to have another crafty friend introduce me to this wonderful technique of making a hemp bracelet. It’s so easy to make that you can make it while watching your favorite TV show. Heck ya! She showed me this 3 minute video tutorial “How to Make Hemp Jewelry : Making a Square Knot Hemp Bracelet” by ExpertVillage on YouTube. Posted in CraftsTagged beads, bracelet, diy, handmade, hemp, jewelryBookmark the permalink.